Renowned worldwide for their exquisite and timeless prams, Silver Cross are delighting children with a new range of toys just begging to be collected. 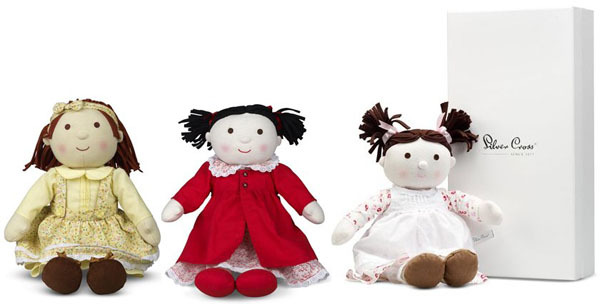 The Classic Gift Collection from Silver Cross features three gorgeous and ever so charming bears and three sweet rag dolls. 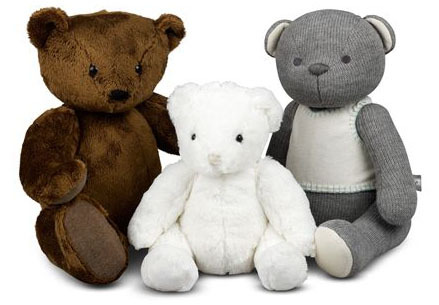 Each toy is suitable for children from birth and are beautifully made with the attention to detail and care that you’d expect from Silver Cross, making a special gift to last a lifetime. I’m partial to Richmond bear (below right) with his gorgeous grey knit body and debonair cotton vest. All the bears have a traditional jointed body, enabling their legs, arms and head to be positioned – perhaps to sit just nicely at a picnic or tea party. The rag dolls haven’t missed my eye either. Beth is pretty as a picture in her removable red overcoat and pink floral dress. Her adorable face with button nose topped off with a shock of black hair in red ribbons is irresistible. I’m sure any little girl will soon make her a favourite! 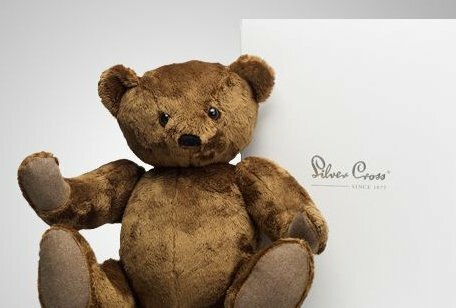 Only just released, each bear and rag doll comes in an elegant gift box and are priced from $24.95 to $59.95 from Silver Cross. Delivery is super easy with Silver Cross delivering all over Australia and internationally.